Sheffield Loft Conversions specialise in all Loft and Attic Conversions all over South Yorkshire. Click here to call Sheffield Conversions. Sheffield Loft Conversion Company has many years of experience converting spaces in all types of property, be they loft conversions with en-suite or a loft extension with a dormer, from period homes to more modern buildings. Sheffield Loft conversions provide an ideal solution for a family requiring additional room and space and almost all lofts can be converted, providing adequate headroom is available, even Part Loft Conversions and shell loft conversions. We offer a comprehensive service and specialise in turning your loft or attic into a beautiful, functional space. Converting the loft space into a new bedroom or playroom is a popular way to maximise the roof space in your home, all for a very reasonable price for a Loft Conversion in Sheffield. A loft or attic conversion can add value to your home and allow for future growth of your family, at a cost effective price. Loft conversion bedroom design ideas, which have been professionally designed and built, will offer a complete new living space and has been proven to add value to your home. We are highly skilled and experienced builders and will ensure that the finished result accurately meets your specifications and reflects your individual tastes, requirements and budget. The Sheffield Loft Conversion plan is of the upmost importance to ensure that every part of the loft is optimised. We have the knowledge and expertise required to achieve exceptional solutions to maximise the potential of every loft and have lots of loft conversion ideas such as loft conversions with bathrooms, and various lot conversions with bedroom design ideas. How much Sheffield Loft conversion services are completely different as they are tailored to meet your design requirements. We will project manage the conversion from initial design through to decoration. The result will be the addition of valuable space finished to the highest standard, using only the best quality materials and environmentally friendly building practices. The price of loft conversions in Sheffield will vary depending on two major factors; materials used and the labour involved. Dormer Loft Conversion - The roof may be extended by building dormers on the roof to create more space inside. Part Loft Conversion/Shell Build - This service is for customers who have an eye for D.I.Y and wish to complete the easier part of the loft conversion to save about 25% on the cost. In this instance we carry out all the structural work to a high standard, leaving only final fix works, to be complete by either the customer or third party tradesmen. With a part conversion you will need to fit insulation, plasterboards, complete the plastering, the electrics, and plumbing, second fix joinery including doors and skirting boards. Customers completing structural only loft conversions should make themselves aware of the building regulations covering domestic electrical installations (Part P). This amendment requires that all electrical work to be carried out by a registered electrician and requires a certificate be issued to satisfy building regulations. Failure to comply with this will prevent building regulations approval. To overcome this you can use our electricians, who are qualified to issue the correct certification. Each individual Loft Conversion Price is competitive and you are under no obligation to use our electricians. We also work closely with local roofing contractors in Sheffield who we can recommend as they provide a variety of roofing services all at a professional standard. • All gable build, dormers, chimney drops and external work including ventilation or tiling. 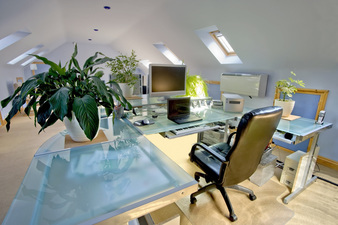 Loft Conversion Planning Permission Sheffield. The final building regulations certificate cannot be issued until the loft conversion is fully completed, however we will organise an inspection upon completion of the structural works. All work completed by us will be to building regulations and in observance of all loft conversion planning requirements. Sheffield loft conversion with ladder at the lower end of the market. Sheffield loft conversion with ensuite are popular. Sheffield loft conversion with velux windows always a favourite. Sheffield loft conversion with bathroom dependant on the size. Sheffield loft conversion with dormer cost slighty more. 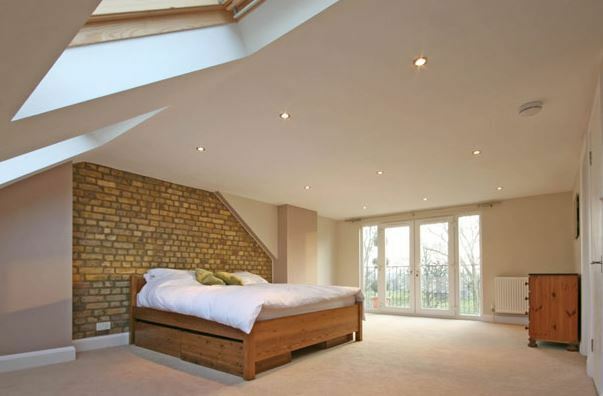 We offer free, no obligation loft and attic conversion quotes and on all our other services. This will give you your loft conversion cost for your Sheffield Conversion. Please do not hesitate to call our team members for more information and ask for any special offers either in Sheffield, Barnsley, Chesterfield, Doncaster or Rotherham and the surrounding areas. ​Or to arrange a free survey, on 0114 303 0373. Or simply fill in the form on the top right and we'll ring you back. Alternatively please complete the form on the right. We’ll endeavor to get back to you as promptly as possible. What other Conversions do we do? Please have a look at our Sheffield Garage Conversion ideas and Sheffield Basement Conversion ideas.